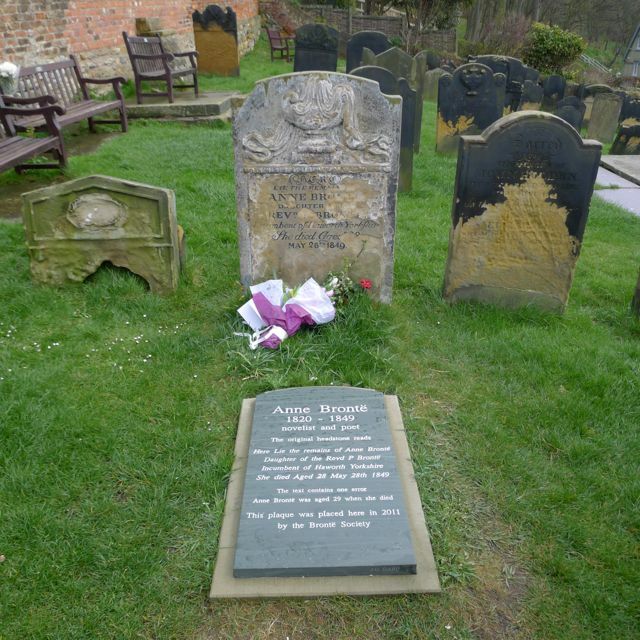 When planning the Spring Walk this year it was agreed to have a break from the usual ramble and instead design the day to include a service of dedication of the Society's new interpretative plaque which was placed late on in 2012 at the foot of Anne Brontë’s grave. We are delighted to say that the day was a great success and are looking forward to a full report of the occasion in the Scarborough Post later this week. Members travelled from all over the country (Durham, Manchester, York, Keighley, Staffordshire, Suffolk and London to name but a few) to join the day. It was great to see old friends and to welcome some first timers! As the service started the rain stopped and though it was chilly the skies were blue. We were very grateful to the vicar of St. Mary's Martyn Dunning who officiated (some members will remember him from our last visit to Scarborough). As Chair of Council I had the joyful task of welcoming everyone and explaining how the plaque was arrived at: to ensure that those who make pilgrimage there in the future see as generations have before the headstone and its inscription while leaving the grave undisturbed. A selection of readings followed including two of Anne's poems and her last letter. Flowers were set down and a moment’s silence concluded the service. By the time we gathered outside of the Grand Hotel for a walk around Anne Brontë's Scarborough the sun was with us. 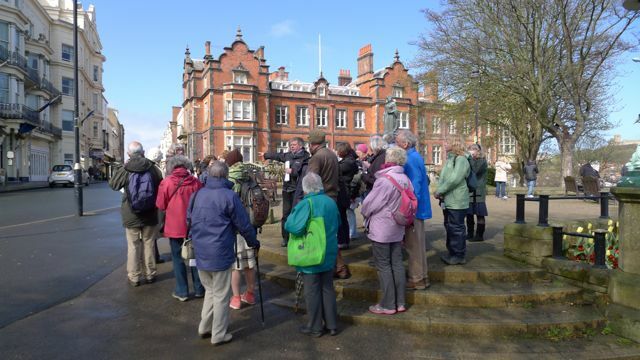 Led by Trevor Pearson of English Heritage we were given an outstanding tour of the town. I had never visited the site of Christchurch before and what a poignant moment it was to see the site of Anne’s funeral now re-developed. Trevor was able to point out the buildings that Anne would have known, the town she arrived at, loved and spent her final days in. My sincere thanks to Chris Went who arranged the day. Thanks also to trustees Susan Aykroyd, Anne Simpson and Doreen Harris and Membership Officer Peter Morrison who supported this special day.